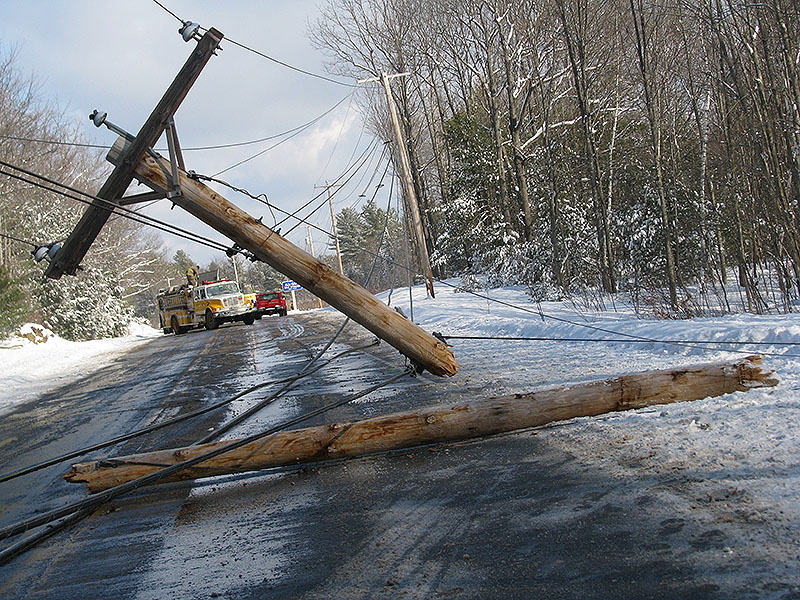 Winter has officially arrived, bringing with it bone-chilling cold, snow, ice, and wind – any combination of which can result in downed wires and loss of power. Lack of heat and electricity and treacherous, often impassable roads, make winter power outages especially tough to weather. With our handy “Survival Guide,” you can protect yourself and your family by preparing for a power outage before a major storm hits. Stash an emergency supply kit. The Ready.gov website recommends keeping an emergency preparedness kit stashed away at all times. Important items to include are a flashlight, batteries, extra cash and first aid supplies. 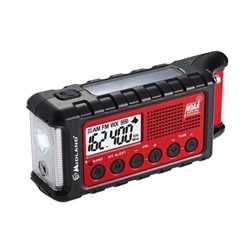 It’s also a good idea to invest in a hand-crank flashlight that works without batteries, like the super-bright ER310 by Midland that provides 130 lumens of light and has low, high and strobe modes, as well as an SOS beacon. Have food and water on hand. Stock the pantry with a week’s supply of canned and non-perishable food and several gallons of bottled drinking water in case you are housebound for a few days. A good old fashioned non-electric can opener is a must-have when the power goes out. In the event of a winter weather alert or blizzard watch, fill a few clean pails or the bathtub with tap water for washing and flushing toilets. It’s important to have a 30-day supply of all prescription meds during colder months in case the power goes out or the roads are blocked by snow or downed wires. Consider switching to a local pharmacy that makes home deliveries or sign up with a mail order pharmacy so no one has to venture out in bad weather to pick up medications. 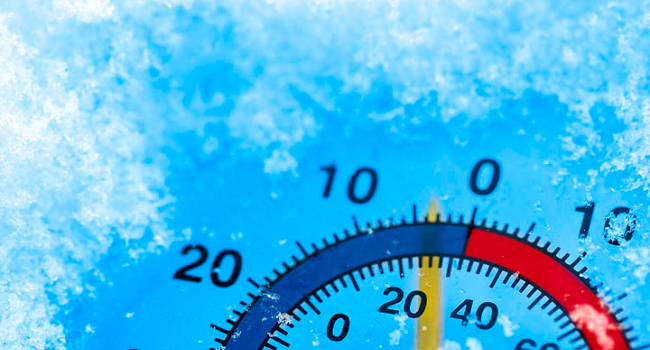 Keep your car’s gas tank full during the winter months. Service stations typically rely on electricity to power their pumps, so you may not have access to fuel during an outage. 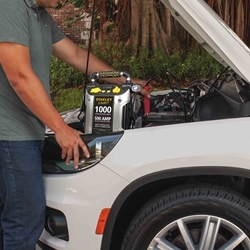 If your battery won’t turn because of frigid temperatures and the power outage prevents you from using an electrical jump starter, a battery-powered portable jump starter like the Stanley 500 Amp Jump Starter will do the trick. A battery-powered or hand-crank weather-alert radio is a must-have for official, up-to-the-minute information on severe weather, local hazards and other emergencies. The Emergency Dynamo Crank Weather Radio by Midland can be powered by a hand crank, solar panel, rechargeable Li-Ion battery, or six AA alkaline batteries, so you’ll always be informed. It also doubles as a flashlight. You will need to keep your cell phone charged when the electricity is down, especially if you no longer have a landline phone in your home. A smartphone charger like the EcoCharge 2,600mAh Waterproof Power Bank provides an easy way to charge all of your USB devices in any situation where they need backup power. 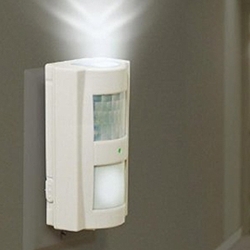 To keep everyone safe when the lights go out, plug in a rechargeable nightlight like the Datexx Sentina Smart LED Light. It turns on automatically to provide safety lighting during a power outage. Or invest in a multi-use LED light and emergency tool like the Datexx Smart Light Mobile Charger. The smart light switches on automatically and doubles as an emergency flashlight when removed from the socket. The built-in battery also functions as a USB mobile charger. If you use a sump pump to keep your basement dry and prevent flooding, you may know that it won’t work if there’s a power outage or a mechanical failure. A sump pump alarm with battery back-up warns you when there is a high water alert or a leak is detected so you can take immediate steps to avoid a flood. 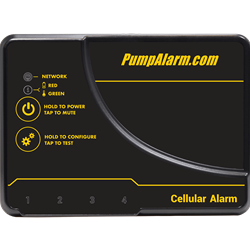 For protection when no one is home, the PumpAlarm Cellular Water Alarm is one of the most affordable alarms you can buy when paired with it’s Dual Float Switch, Digital Float Switch, or Water Sensor. It communicates via a cellular connection (so you don’t need a landline phone or Internet connection) and sends text message alerts to up to three cell phones if there’s a power outage or the water level in the sump pit is too high. As an added feature, it has a built-in temperature sensor to monitor high and low temperatures for customized temperature monitoring. Layer up to keep warm. Trapping air in between several layers of clothing will keep you warmer than wearing one heavy piece. Start with a base that insulates well, followed by loose-fitting, lightweight layers. Plan to have a safe, non-electric way to stay warm during a blackout and keep enough wood or fuel on hand. Keep in mind that many alternative heat sources — including portable propane or kerosene heaters, fireplaces and wood stoves, and gasoline generators located in a poorly vented place — can produce deadly carbon monoxide (CO) fumes. 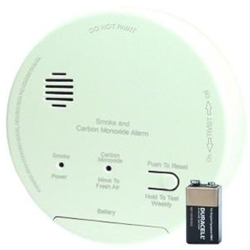 Protect your loved ones from odorless, invisible CO by providing adequate ventilation and installing a CO alarm with battery-backup that will continue to operate during a power outage. Venturing outside in the dark during a power outage can be frightening and dangerous. 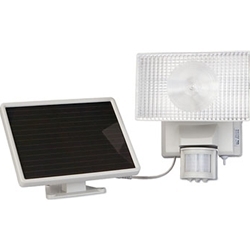 To keep family and friends safe and discourage intruders, install a few solar-powered floodlights around the perimeter of your house to illuminate walkways, driveways, garages, and sheds. These floodlights turn on when motion is detected at night. When charged in full sunlight, the light can activate up to 150 times when on for 60 seconds at a time.